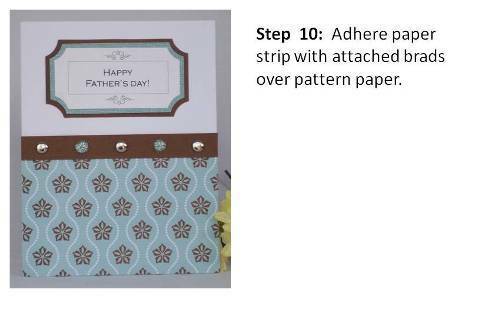 Make your own homemade graduation cards for a guy using stripes and brads. 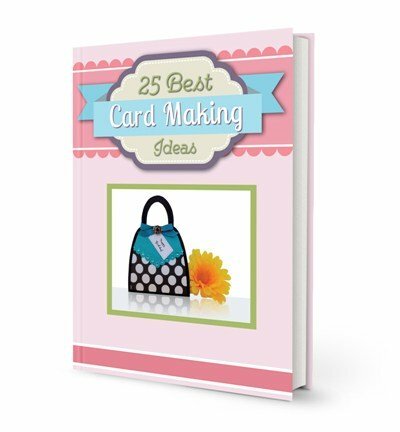 Discover fun card making ideas for making graduations cards on this site. 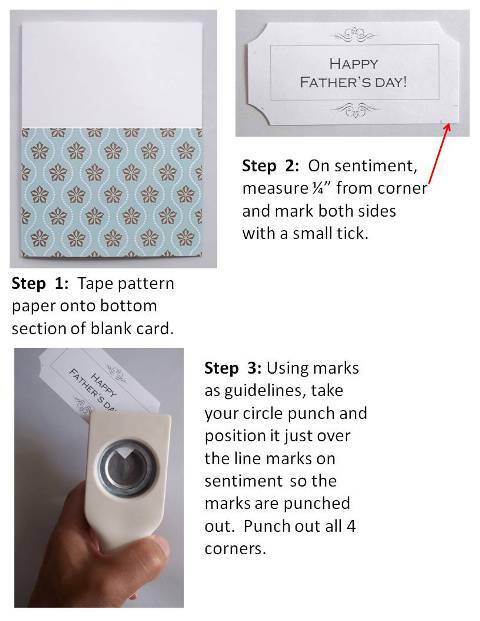 Handmade card ideas for guys are often more simple than ones for girls. 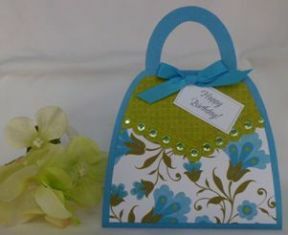 I decided to eliminate ribbon for this graduation card idea and, instead, chose brads as an embellishment. I alternated the blue and green colors because I only had two of the blue brads. 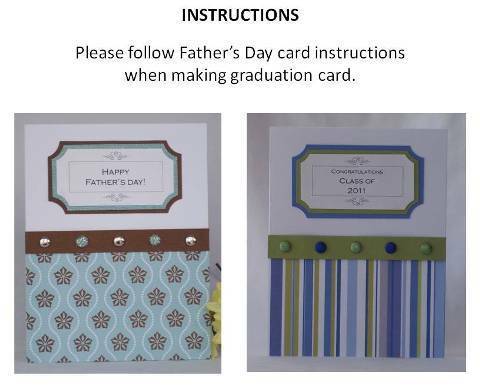 You can personalize handmade graduation cards by using your computer to create the sentiment. I included "Class of 2011" on my sentiment but you can add a name or name of the college or high school. 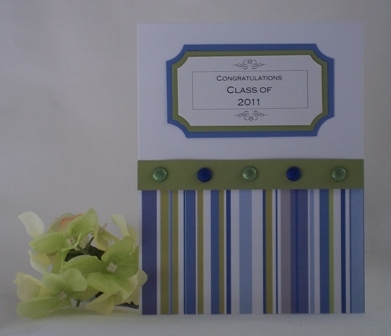 Create your own graduation cards and use clip art from the web. I download images like caps and diplomas for lots of my homemade greeting card ideas. I found an image of a flourish for this card and added it to my sentiment. 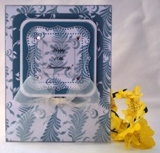 For this handmade card making project, I used Marth Stewart 1-Inch Circle Punch to round the corners on the sentiment and the borders around the sentiment. 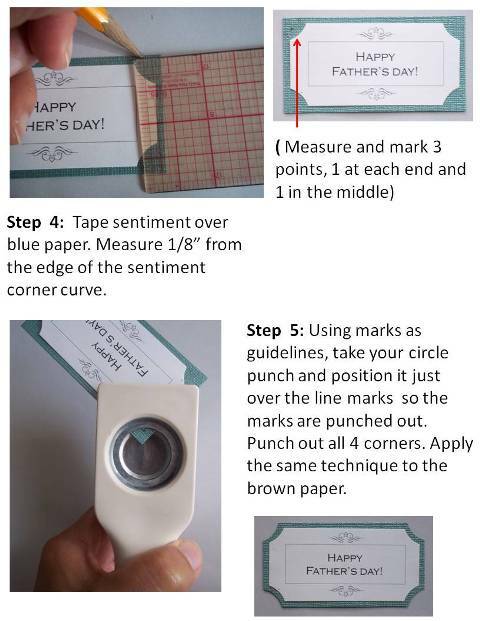 After cutting a rectangular shape, use a quarter of the circle punch to punch out a corner section of the rectangle. 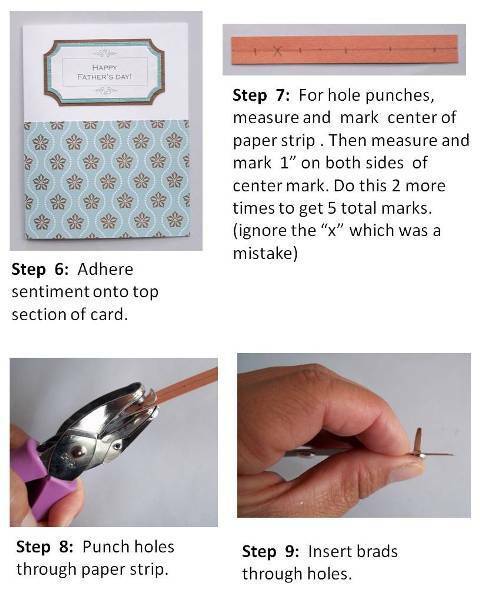 This is a technique you can apply when making graduation cards and for other homemade card ideas. I also used Fiskars 1/8" punch to make holes for the brads. Graduation card designs for men can be simple yet classic. You can revise this card to make it feminine. 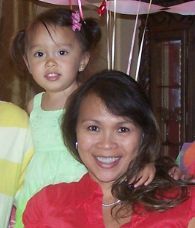 Use a floral print or use pink, red or purple colors. 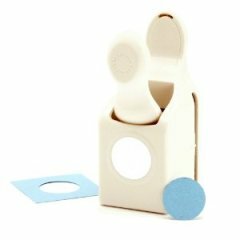 Use cute or pretty stickers instead of brads and don't forget to ad a bow.